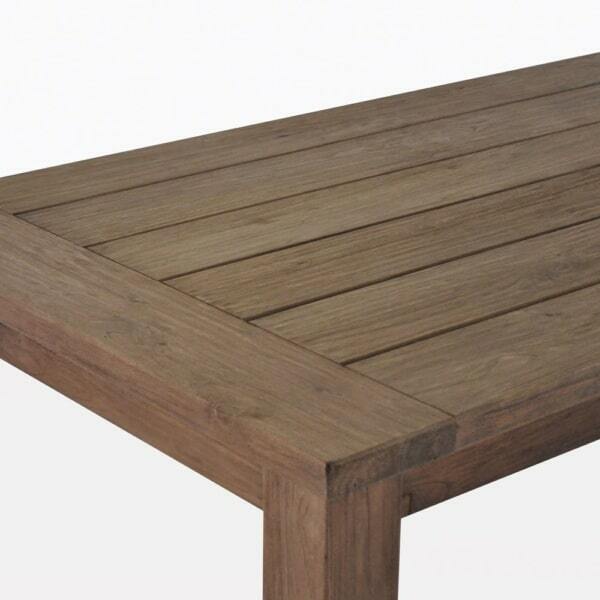 The Rustic reclaimed teak table is able to showcase the beauty of a piece that feels like it has some real history. 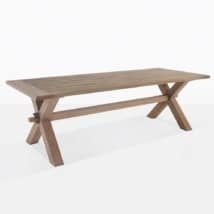 The simple, muted design prominently displays the reclaimed teak with square angles and clean lines that show the quality of manufacture, without losing the brilliance of the reclaimed teak feel. 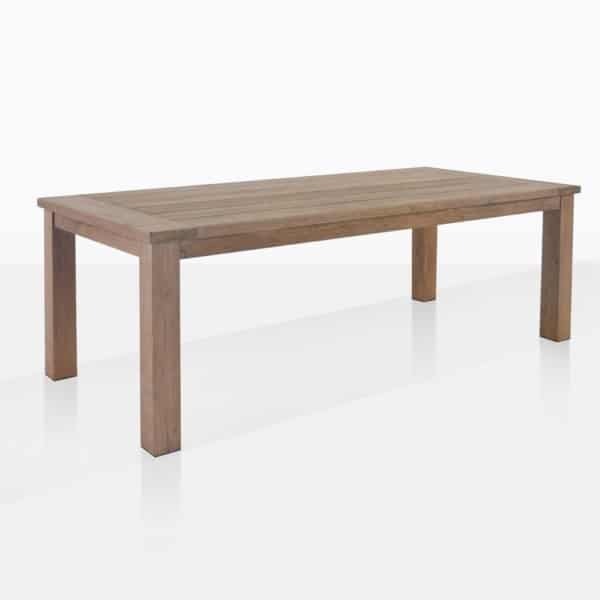 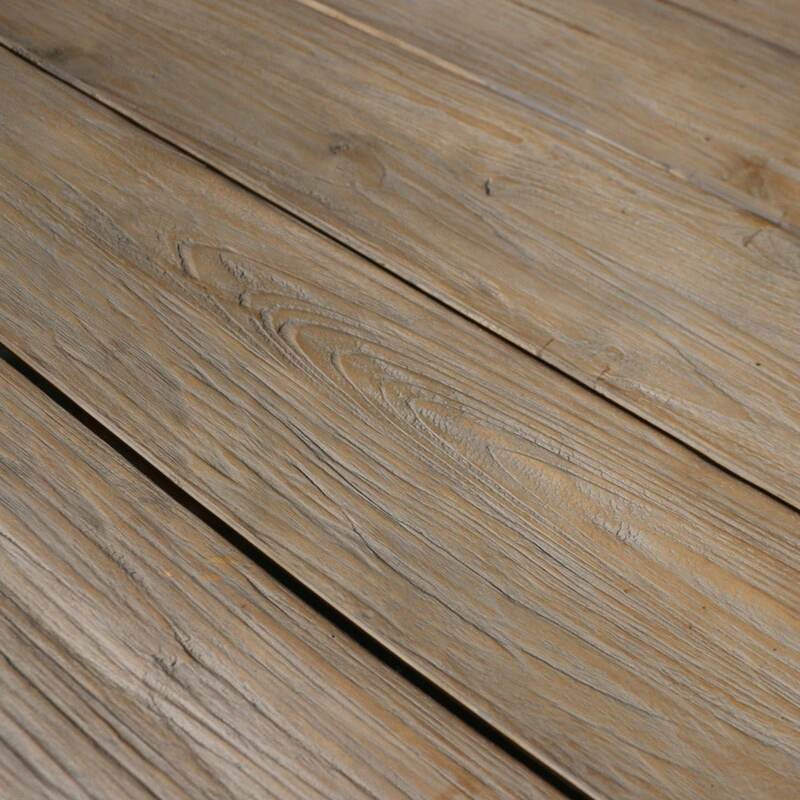 The soft ambience of the piece and the spacing between the surface boards makes the table a natural choice for either an indoor or outdoor application. 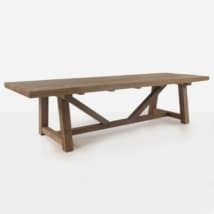 Six planks with two end caps to finish them on the edges combine with four square legs to bring a simple but beautiful rustic table with a lot of character. Gather around this fantastic table for a fabulous dinner party. The Rustic 4 leg table is available in 2 different sizes. 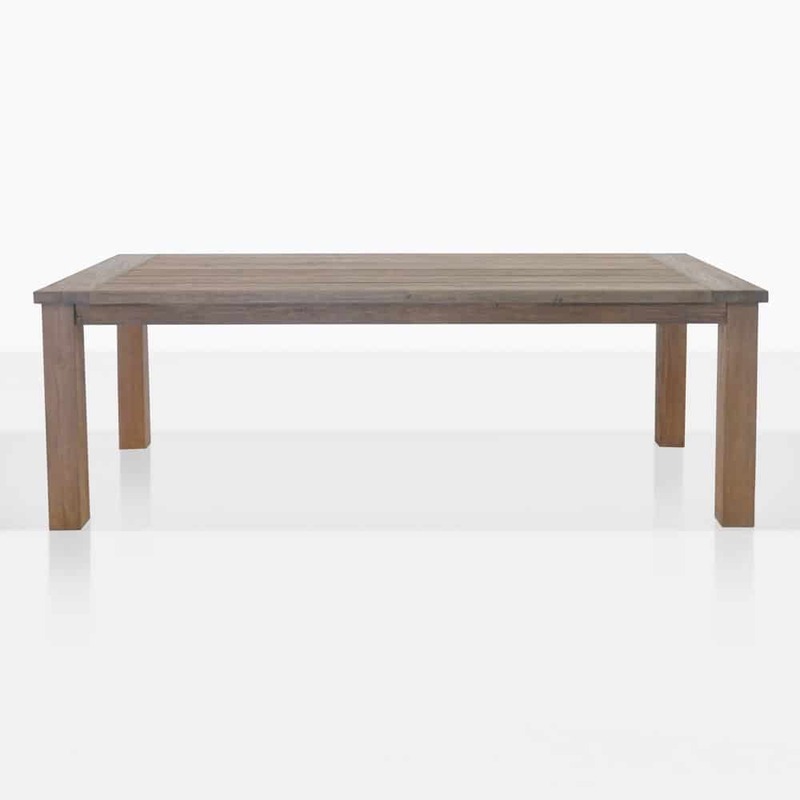 Shown here is the 86″ table.